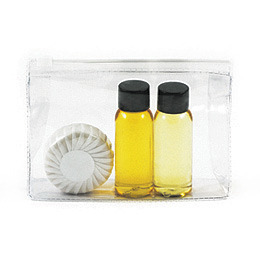 Australian Native Body Care Range printed travel packs, will ensure your promotional message will travel far and wide. All items comes packaged in a clear, reusable vinyl bag with zip slider. The Australian Native Body Care range is filled with rich botanicals and infused with Quandong Plum and Desert Lime creating a unique gender free citrus scent. Additional print options for items within the pack also available for additional charge.